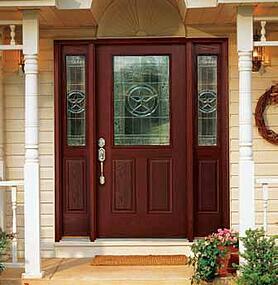 Where do I buy my new front entry door? Lowes, Menards or Home Depot? 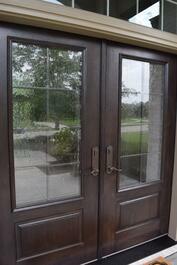 great selection of full-size displays where you can really touch and feel the exterior doors. They have a large selection in stock ready to take home that day. They usually have pretty knowledgeable staff, as well, especially if you visit during the weekday. I like to call the weekday staff the “A Gamers!” If you are looking for a budget conscious way to make a big difference on the front of your home then Lowes, Menards or Home Depot might just be the perfect place to buy your new front entry door. and door dealer. A specialty window and door dealer will have entry door experts that have had training from the factory where the entry doors are built. They will probably have brand name entry doors that are not available at a Lowes, Menards or Home Depot. They will also come out to your home, obtain measurements as well as help you design your door. There are design tools where you can design your new entry door on your home so you can see if it is the perfect entry door for you! Click here to learn more. Whether you find your new entry door at Lowes, Menards or Home Depot, or whether you want something a little more custom, you can rest assured that your new entry door will make a big impact on the curb appeal of your home. A new entry door is one of the biggest, quickest changes you can make on your home to change it’s appearance in only one day!